The next time you find yourself craving a rich piece of dark chocolate, you don’t have to leave the room and do deep breathing exercises until the craving passes. 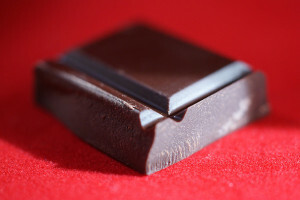 Indulging your chocolate craving periodically is not as bad for you as you might think. In fact, recent studies show that eating a little dark chocolate now and then is good for dental health. Yes, you read that correctly. Chocolate has been shown effective for fighting cavities and dental plaque, according to recent studies conducted in England and Japan. It contains a compound called theobromine, which has been shown to strengthen tooth enamel in a manner similar to fluoride. What’s more, theobromine is actually a safer treatment for soft tooth enamel than fluoride, since it does not have the same toxic effects as fluoride if swallowed in large quantities. These studies should make you feel a little less guilty about enjoying a few pieces of chocolate after dinner. Enjoy it in moderation, and choose high-quality, gourmet chocolate, such as our chocolate treats from Hawaii. These tend to be less processed and therefore higher in antioxidants than mass-produced chocolate. To stock up on chocolate indulgences that you don’t have to feel guilty for enjoying, visit Hawaii’s Local Buzz. You’ll love our chocolate covered macadamia nuts, chocolate covered coffee bean crunch, and our chocolate macadamia nut bark, all made with sinfully rich Guittard chocolate.